Even the most engaged Jews can find holes in their Jewish learning. Growing up in a committed Jewish family in Denver, Hannah Kapnik Ashar was as committed to Jewish learning as a young person can be: she participated in the Bronfman Youth Fellowship in Israel as a high school student, she spent time learning at Pardes between high school and college, and she was a Jewish studies major at Wellesley College. But in her 20s, she felt a component of her learning experience was missing. "I really felt like I needed to learn Torah," she explained, eager for deep Torah study that was fully integrated into her daily life. She consulted her mentor, who told her if she "wanted to get the best Torah," she should go to Hadar. She signed up for the summer fellowship program in 2009. Ashar was so committed to Hadar’s style of learning that she returned for the year fellowship, from 2010-11. But Ashar's deep learning experience didn't just motivate her to seek out new learning experiences; it inspired her to become a real leader in her home community in Boulder, Colorado. Ashar, now 26, was already active in her Jewish community, but her Hadar participation supercharged her leadership capabilities. ”Both Rav Elie [Kaunfer] and Rav Shai [Held] encouraged me to have confidence in my thoughts and my leadership abilities,” she said. She was thrilled when she was asked to be a gabbai for Hadar's daily minyan. "The experience of being a gabbai gave me tremendous confidence for coming back to my community and being a leader in tefillah." 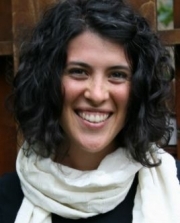 When she returned to Boulder after her year with Hadar, Ashar knew she wanted ”to be in community with people who are committed to Jewish spiritual practice.” Hadar gave her the confidence to build the community she was seeking. Her first step was the creation of a regular Tefilah Retreat for the Jews of Boulder. The retreat is a weekend of Jewish spiritual practice in the mountains near Boulder, with kosher food, a Shabbat-observant environment, and egalitarian prayer, including shaharit, minha, maariv, meditation periods, and what the retreat website bills as “freestyle individual prayer, no holds barred.” Ashar has held three summer retreats and one winter retreat so far. "I thought, 'A lot of my Jewish friends are going on meditation retreats; why aren’t they going on something Jewish?'" she explained as part of her motivation for creating this retreat designed to appeal to a wide range of Jews. Ashar has displayed her skills as a lay leader beyond the retreat. Wanting a more regular way of connecting with the young Jews who come on the retreat beyond their once-or-twice-a-year adventures, Ashar created a monthly Kabbalat Shabbat service that attracts a similar demographic. She is also the creator of Come and Listen, a podcast co-hosted with her sister, where she interviews contemporary Jewish thinkers and discusses Jewish culture, history, and religion. Hadar’s support was essential for getting both Come and Listen and the Tefilah Retreat off the ground. Ashar received an alumni microgrant to create Come and Listen, as well as logistical support for the retreat. Ashar makes it clear Hadar is investing not only in specific projects, but in specific people who can do good in their communities. “Hadar is really integrated into my life,” she said. “I continue to think of the educators at Hadar as mentors.” And through Hadar, she is taking that to the community beyond herself. Our Alumni and the Microgrants project.